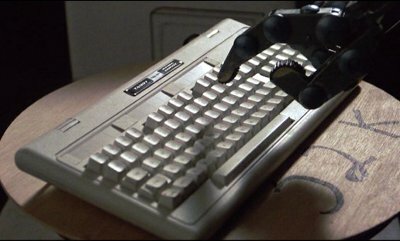 The 2000 was a somewhat PC-compatible machine released in 1981. The first machine to bear the Tandy logo and also the last to bear the TRS-80 logo. It was soon replaced by the more successful Tandy 1000 series. 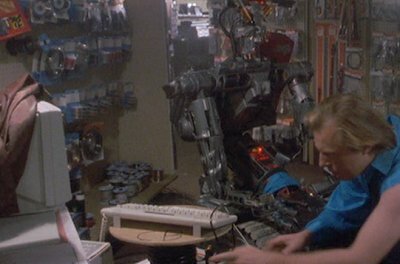 Johnny, in need of urgent repair, breaks into a Radio Shack store and uses a Tandy 2000 to type out repair instructions. You get a good view of the keyboard, but the view of the actual machine is not very convincing.